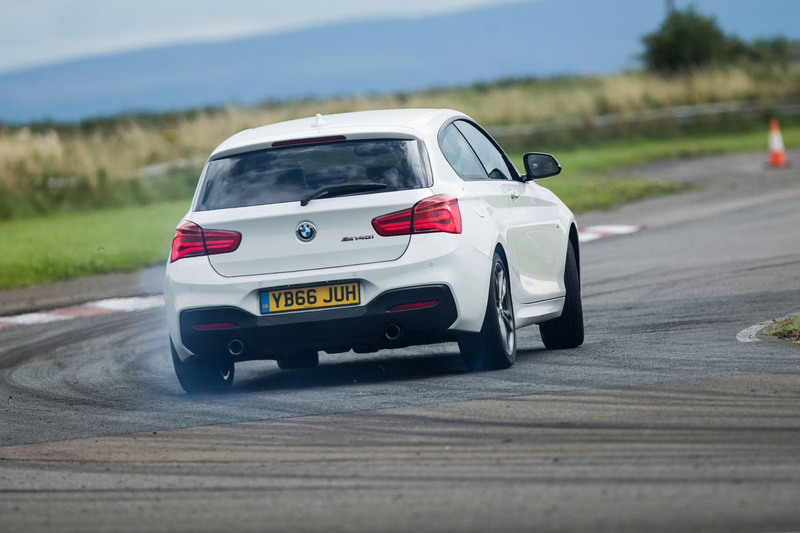 On paper, the rear-wheel-drive BMW M140i is inherently right as a performance car - can the front-wheel-drive Civic Type R possibly match up? On paper, this doesn’t look like much of a contest at all. 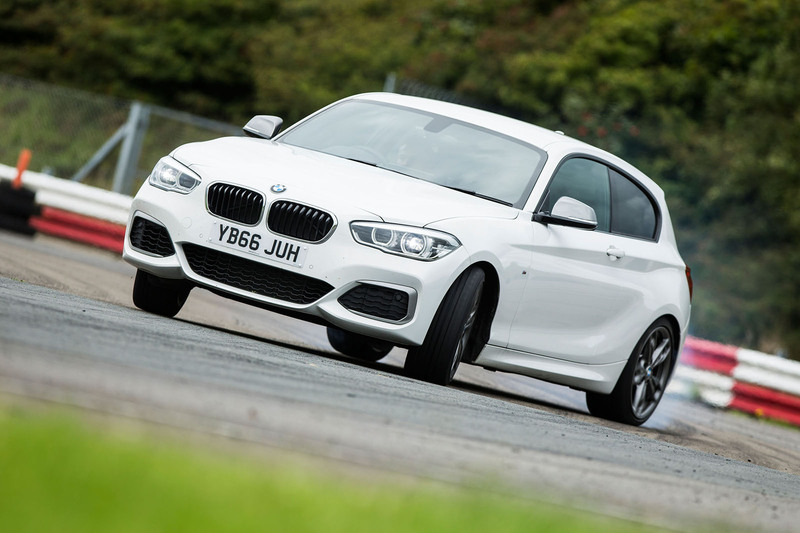 The BMW M140i is so inherently right as a performance car –six- cylinder engine, rear-wheel drive, balanced weight distribution – that you forget it has such workaday origins. The Honda Civic Type R, on the other hand, is based on a car whose fundamentals are clearly and inherently wrong from a performance perspective: drive goes to the front wheels, the engine bay won’t take a six-cylinder motor and the weight is all over the front axle. Honda has had to work extremely hard to engineer a sporty car out of the Civic. of a god-given gift. The dedicated, focused athlete will have his day over the complacent natural talent. So have Honda’s engineers honed and shaped and refined the Civic so comprehensively that it’s actually better to drive than the M140i? It seems like one hell of a tall order. The BMW continues to get it right, even when you cast the spec sheet aside. The seating position is low- slung and the steering wheel reaches far out from the dashboard. The 3.0-litre turbo engine is responsive, smooth and crisp. With 335bhp, it makes the M140i feel fast in a big- car way, not just fast for a compact hatchback. This test car’s eight-speed automatic transmission isn’t as involving as a manual ’box (at least you have the option) and you do need to anticipate a brief hesitation every time you pull a paddle for an up or downshift, but it does help you to wring every last drop from the powerful and torquey motor. 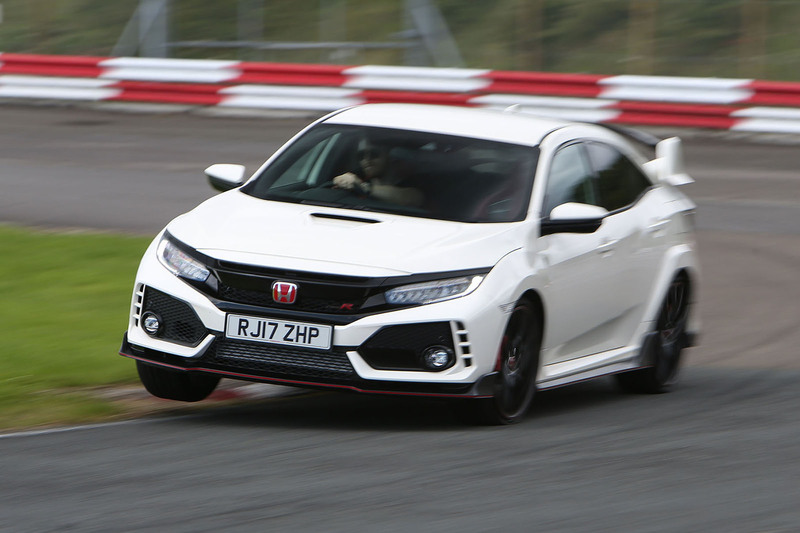 Honda’s hottest hatch yet is quick on a track but just how well rounded is the new Civic Type R? 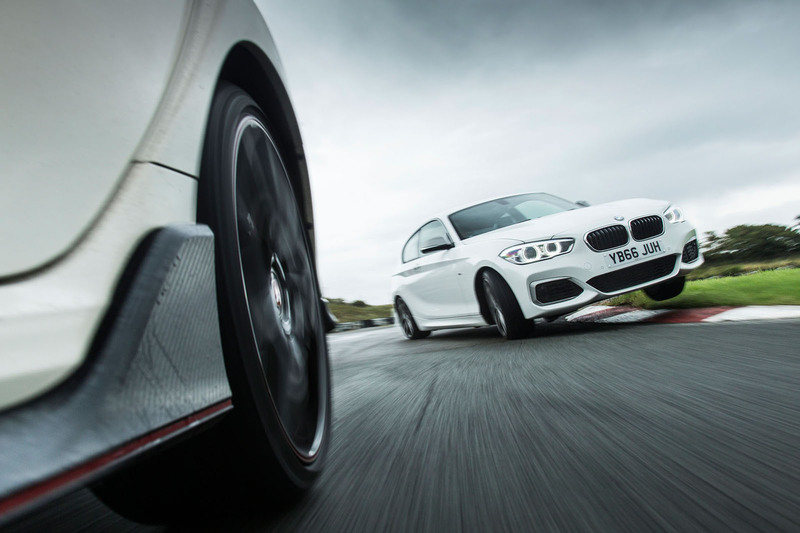 On both road and track, the rear-driven balance promises so much at first, but the moment you start to work the car a little harder, it seems to run out of ideas. For one thing, the steering doesn’t give you an intuitive sense of connection to the front axle, so you find yourself guessing and hoping rather than knowing inherently how it’s going to respond. And for another, the chassis never seems to settle into the road surface. The ride is busy in anything other than the softest damper mode, but still the car feels like it’s sitting up on stilts. It tips and tilts and leans this way and that like a table with a wonky leg, never falling over but always feeling like it might do. The woolly steering and slightly sloppy body control mean you never feel completely at one with the M140i, so you palm it along rather than really grabbing it. to the exit of the corner neatly and predictably, or it might snap into sudden oversteer; it could spin up the unloaded wheel hopelessly or it might settle into a neat and graceful powerslide. For all its inherent rightness, the M140i gets less and less satisfying the harder you push it. The opposite is true of the Type R. It feels good from the outset, and with no strange foibles to get your head around, you find yourself driving it quickly and skilfully right away. That’s a very strong indicator of a well-sorted performance car. And as you build your pace and dig deeper and deeper, the car seems to get better sorted and more capable still. Of the two cars, it’s much happier being driven on and around the limit. Against the odds, it actually feels like the more natural performance car. The overwrought styling and unexceptional cabin are difficult to overlook, especially at this money. The seating position is much better now, though, with a seat that drops much lower than before, and the seats themselves are as supportive as any you’ll find without a fixed back. The engine is still somewhat laggy – you can count Mississippis as you wait for the boost to arrive – but once it starts pulling, it does so with real urgency. And the manual gearshift is as good as they come. It is still frustrating that Honda won’t allow you to configure the car how you’d like it, because what you really want is the sharper throttle map combined with the softest damper setting. Instead, you drive everywhere on the road in Comfort mode rather than Sport or +R because that’s when the ride quality is at its best. It feels plush and compliant, flowing down a road at speed almost like a Porsche GT car, and the body is always so well controlled. As the car absorbs the worst of the road surface, it keeps its Continental tyres pressed deeply into it, so they find more grip than you’d ever imagine. 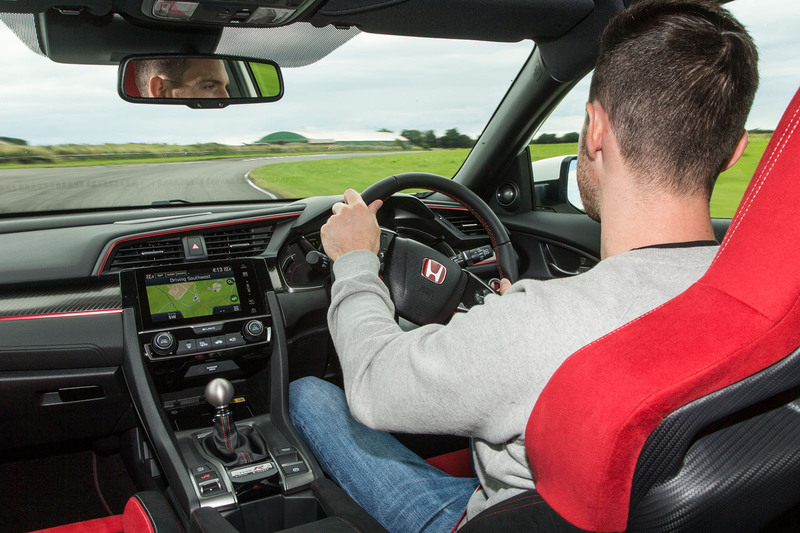 On track, that means the Type R is sensationally fast. 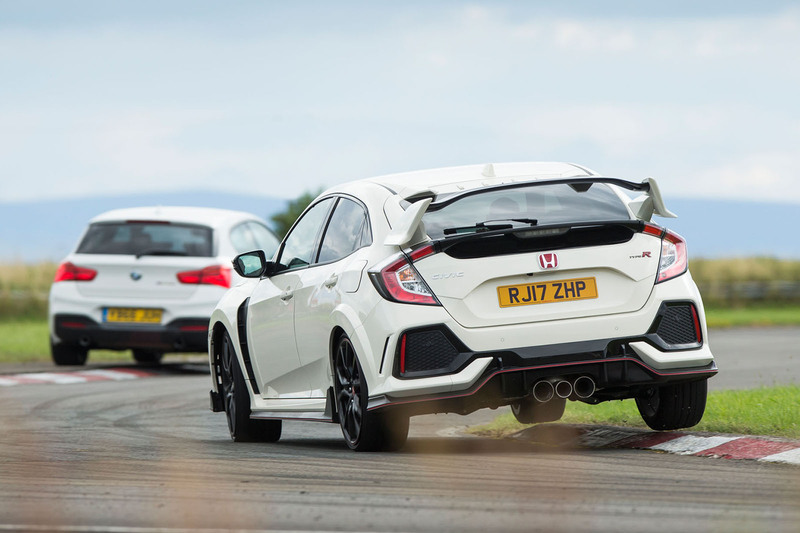 Only two (much more powerful) cars went quicker around Llandow than the Honda. It’s also fun and exciting, though, with some adjustability in the chassis, a differential that drags you through corners and brakes that barely seem to wilt. At times, though, you are aware of its size, particularly on narrow roads and also in very tight, very slow, second-gear sections of race track, where you find yourself hauling it from one apex to another. Even so, it is the best Civic Type R to date and the first one that you don’t have to make excuses for... aside from the divisive styling and very average cabin. What’s really remarkable about the front-wheel- drive, four-cylinder hatchback, though, is that it’s actually better and more entertaining to drive quickly than the six-cylinder, rear-driven M140i. It’s a victory for the Type R, and a victory for hard work and dedication over complacent virtuosity. Right. So a 'driver's car' is defined by what it is like on a track, an environment as a road car it is not designed for? Just bought a 140i and recently thrashed one round a circuit on someone elses tires. Quite fast and stable enough for me and you appear to have the tail wagging which makes it slow but more hilarious,My old 135 had a Quaiffe dif and I am saving up for another as it is heaps ahead of a locker. In the real world we dont go around at 10 tenths and the car is just superb at bumbling along.It also is amazingly economcal at the legal limmit on cruise on the motorway. Can't abide the way the Civic Type R turbos look - this one or the previous Gen. So I'd buy a M140i or used 135i and spend £5k getting the chassis properly sorted.